BISHKEK: “She received the [Soviet] title ‘Mother-Hero.’ She actually gave birth to 14 children, but as two didn’t live to age one, it was counted as 12,” said 48 year-old Misha (his Russified name). Nine of the 12 are still alive. 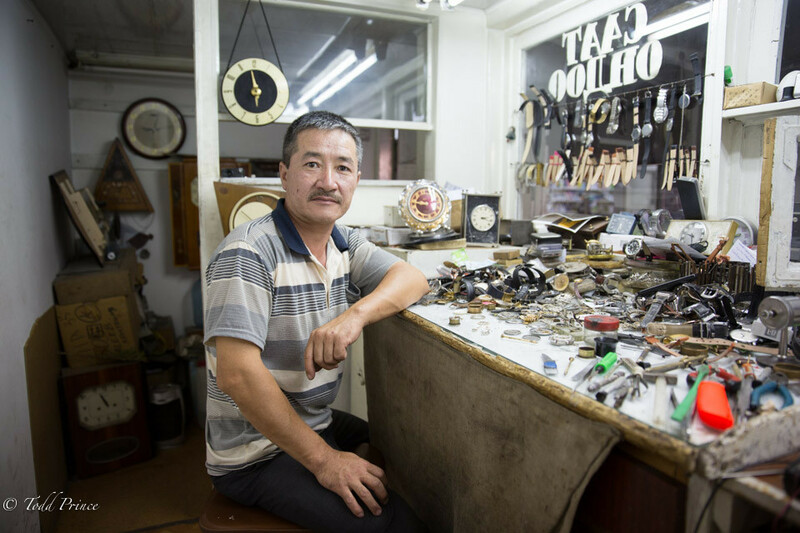 Misha, who has 4 children, specializes in repairing clocks & watches. He’s been working in a street underpass for the past 20 years.